The presenter is the one who makes a presentation in a meeting. 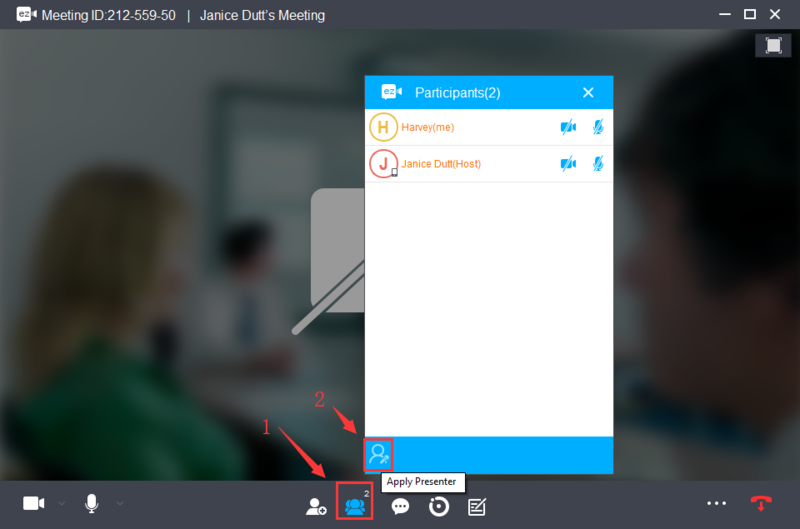 The presenter is able to share screen, whiteboard and mute all participants during a meeting. 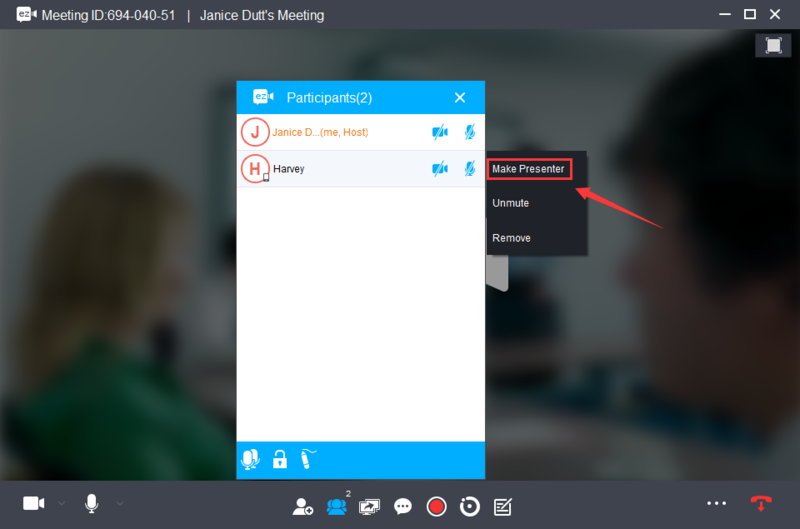 In default, the host who starts the meeting is the presenter. Learn what is a host.